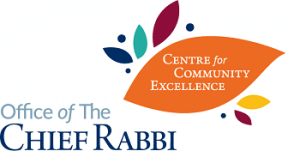 Rabbi Garber led Shenley’s ShabbatUK programme on the premise that enhanced Jewish learning will create a more meaningful Shabbat experience. In this spirit, he led an explanatory Kabbalat Shabbat service and made sure to discuss the blessings and songs that arise during a traditional Friday Night meal as well. Scholar-in-Residence Rabbi Eli Birnbaum inspired the community with an insightful address, while visiting madrichim from the Ezra youth movement helped to create ruach and lead children’s activities. These madrichim were sourced as part of an initiative of the ShabbatUK office which partnered up interested communities with groups of experienced youth leaders. ShabbatUK is one of our most popular events in our social calendar and this year it even managed to exceeded our expectations with such a beautiful Friday night dinner. The atmosphere and quality of food was fantastic. Our objective is to get a high number of participants attending and with over 100 people from a small community we are very proud that we exceeded our goal. It gives members a positive Shabbat experience. It is a lovely event for the community and one that brings a lot of members together. Feedback is always positive.